I wanted to create a special holiday card for my photography clients and announce a new referral program I'm setting up for 2013. So, I took my favorite models out in the back yard to create a little magic. 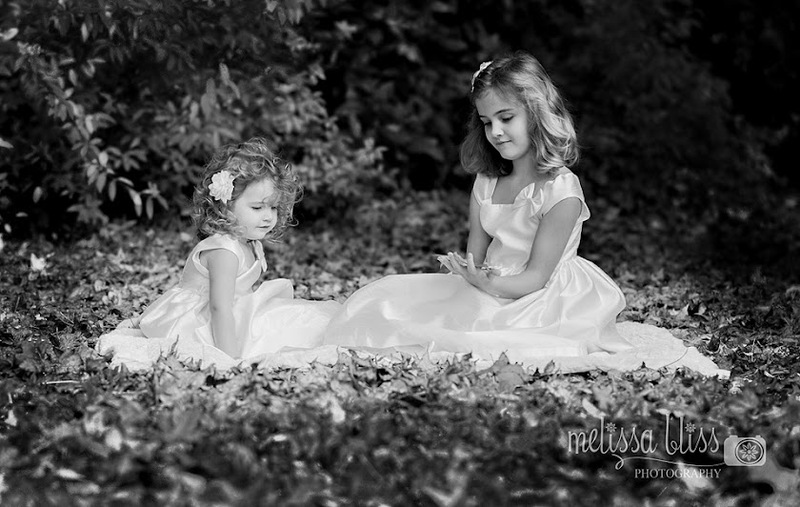 While this isn't the image, or the editing I chose for that holiday card, it is one that I love from our little session. Rather than let it fade away in my hard drive archives, I thought I'd share it here on the blog today. I kind of like the timeless black and white. What do you think? Thanks for the shout out. Sweet photo. This picture is so beautiful.... I'm speechless! Love!!!! Seriously gorgeous!!!!!!!!!!!!!! LOVE your new look- it's beautiful! Love your new header and button! Looks great! I love these images of the girls. It does look timeless. Lovely! Beautiful!!! What better models to promote your business! oh wow, so, so lovely! I love this image and the processing! I love the new blog header and this beautiful photo! That's beautiful!! I love the B&W. I know I say this every time I come here, but your pictures are gorgeous. And this one? Absolutely breathtaking. Such beautiful light and contrast.